You know all about Schrodinger's Cat. A cat, unobserved in a sealed box, is both alive and dead at the same time -- until you open the box, and observe him, in which case he becomes merely one or the other. So it is with this patch. Your Schrodinger's Cat patch is alive. And it is dead. And until you open your package, you won't know which patch you receive -- until then, it exists in a state of both patches. 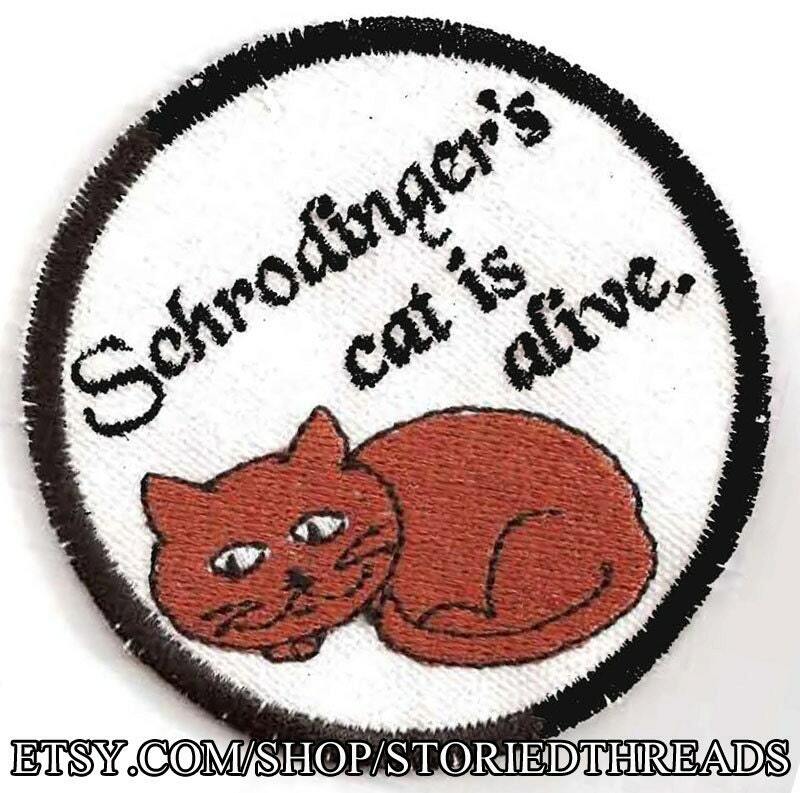 In other words, when you order this item, I will choose at random whether you receive a "Schrodinger's Cat is alive" patch or a "Schrodinger's Cat is dead" patch; you cannot specify which version you receive. This sew-on patch measures approximately 3 inches in diameter. Design (C) 2011 Storied Threads/Veronica BaileyStandard shipping for all items is by First Class mail and does not come with tracking information. If you wish to add tracking, please ask (an additional charge may be necessary). Thank you, the patch looks perfect in the shade of blue you selected.